Directors would like to have it on Dec. 3, the first Monday night in December. [Date and details are not final at this posting.] Event will be potluck and we will try to get 2 or 3 restaurants to sponsor or provide food. Neal McKnight will ask 3 Floyds to donate beer. Business Minute: Meghan Quinn will ask Pure Vibes Fitness and Inside Home for Jan. 7 membership meeting. Idea floated to have five or so businesses at a time at each meeting to represent areas of the neighborhood, i.e. Chicago Avenue Business Minute. Guest Speaker: McKnight will contact U.S. Rep. Mike Quigley’s office to see if someone is available. Another idea would be to have a speaker from city Housing and Economic Development to discuss the department's vision. The West Town Chamber of Commerce Community Leaders Summit is Nov. 29. McKnight, Quinn and Rob Schickel will attend on behalf of EVA. An idea was discussed to form a West Town Leadership Council made up of the neighborhood associations. The council could represent the community as the Chamber represents businesses. McKnight would present a proposal at the next meeting. 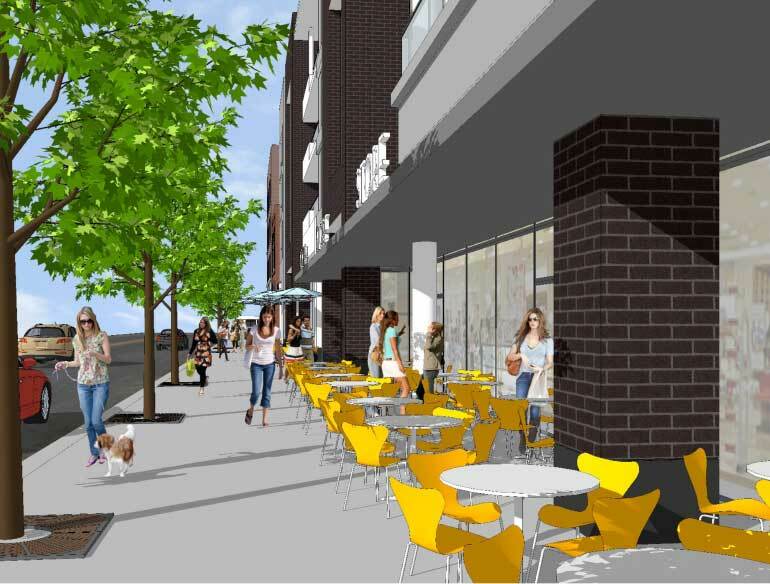 Chris Fifield is working on changing the 1822-50 W. Chicago Ave. proposal. Revisions discussed briefly at the November membership meeting would have 35,000 sq.ft. of retail, more than twice than the original proposal of 14,000 sq.ft. Fifield will get back to us to plan the next visit to an EVA meeting to discuss. Ald. Proco Joe Moreno is looking at the option of downzoning a strip of Ashland Avenue from B2-3 to B2-2, and then lifting the moratorium. The decision on our stance should be deferred until we discuss with the Marshfield Avenue block club. We would also like to get an agreement from the alderman that the moratorium will be replaced in a year and that there will be no more liftings without community hearings. We should understand the consequences and the zoning we can pursue to protect moratoria. Right now, a Plan of Operations seems too broad to serve as a safety net. The proposed Chicago Police budget has $0 for CAPS, though there has been some private funding in the past for community policing. EVA and Chicago Grand Neighbors Association are upset about this. Vote: All in favor that EVA write a support letter. Molly Murray will invite police officers to our meetings; we should also reach out to Anne Shaw. Josh Rutherford of Smoke Daddy wants to build a bench around their 60-inch tree pit. The bench is black iron and surrounds the tree. The city transportation department will have to sign off because it will be part of the café seating. The WPB Special Service Area has spent money and should be involved. There should be an understanding from the beginning that the bench is a one-off solution allowed only in this location. EVA, the SSA, Wicker Park Committee and Bartlett Tree Service should discuss a system of control. At this meeting, we can also discuss the upcoming café permits for next year. Board attendance: Neal McKnight, Peter Locke, KK Goh, Meghan Quinn, Greg Nagel, Stephen Rynkiewicz. Meeting commenced 6:40pm, adjourned 7:50pm.